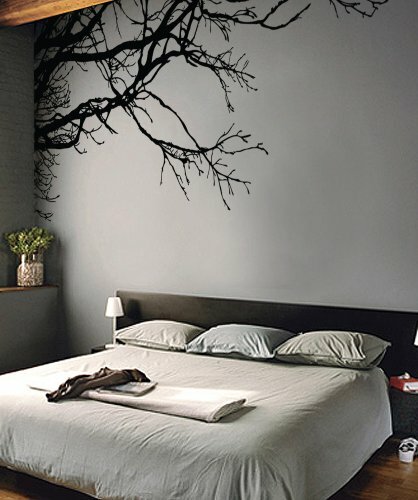 More and more people are seeing the benefits as well as the joy of DIY wall art decor in a creative way. This could have been classified as kitsch back in the day, but times have certainly changed and you will find some contemporary designs, which really are able to create that feeling of WOW! Who would have thought that a couple of blank frames positioned in a certain way would grab your attention. How about a shutter painted in vintage style or a window frame with family photos placed inside the glass. Of course, there will always be people that think these designs are totally obscure, and this is why it is important to have your own taste. However, for those who do take to this particular style, would find some relief that at last there is something which is not going to break the bank. Things can be picked up at second hand stores or garage sales. One can even find odds and ends at fleamarkets. Collect yourself a number of these plates, find a nice spot on the wall and stick them together in a square. You can also cut them up, so then make words out of the letters displayed in each license plate. You will obviously need strong tools here, but you can always get someone to do it for you. This is very popular and always looks good. It can look great in your child's room, using their favorite animal or cartoon. You can use doillies and paint this on to the wall or onto a canvas board, accompanied with typography in striking colors. You can use photos in a number of different ways. They can be enlarged and displayed on canvas. This may look nice in black and white. You can also make a collage or else you can spread them around and create boarders with a theme. For example, you may want to create antique outlines to bring out the vintage look. You can pick these up cheaply at garage sales. You just have to hunt around. They can be restored and painted to create a certain look. Some people like to display photos on top of these to create some interest. People are always throwing away window frames when they decide to replace them with new ones. This is where you have to keep your eyes peeled. It is nice to paint between the glass roughly and display all sorts of items which mean something to you in the actual glass. Creating a particular theme like vintage is very popular today. There are many things you can do to add to this theme. For example, if you find yourself a couple of old records, that is always a nice way to express yourself. You can look around for pictures of bands like the Beatles and stick that on a canvas. This always looks good and it is great fun. If you look around for something creative, and perhaps meaningful, it will add a lot to your day when you wake up in the morning. There are different ways that this can be displayed. You can opt for a plain canvas, or you can get a piece of wood. Wire can also be moulded along with string. These are great for living rooms, kitchens, for the kids and to brighten up your dorms. They are easy because you just have to stick them on and you can remove them again without a fuss. There is a huge selection to choose from. The thing about empty frames is actually displaying them in the right positions. Have a couple together, or you could have various photos underneath on the actual wall, with the frame placed over a part of the picture. Do it yourself canvas wall art is probably one of the most popular forms of decor that you can find for your walls. There are so many ways that you can make use of this, but normally you would think of something simple. You could have a couple of patterns or colors that repeat or you could have something with different textures glued on. Here again, typography along with various objects that form the word are another thing that you can think of doing. For example, one could arrange nails, on a wooden board in the shape of a heart, and then use string to wind around the nails. This is probably one of the most interesting clocks you will find, which can be placed on a wooden board or canvas. Usually only the hands will be displayed, along with an interesting design. These are enlarged scrabble pieces which are fun and really nice for a family room. One can even make a word out of this, going up and down. If one is totally obsessed with a certain style, why not develop this into a theme. One can go retro, or go completely vintage. You just have to be careful that this is not a phase or a trend, because you could end up wasting money. It also looks good when one mixes different textures together. For example, wood and metal always look striking, especially since the metal stands out against the bland wood. This is a great wall art project, that is especially nice for kids. They can even help you out with it if they are old enough. Not only does it look good, but it is also educational, so it is something to think about.